The Warriors are blaming a laps in concentration as the reason for their NRL loss to Manly after racking up a solid 16-point lead on Saturday. The Auckland based side got off to a flying start, scoring three tries within the first 17 minutes, not giving the Sea Eagles a sniff of the ball in the first quarter. 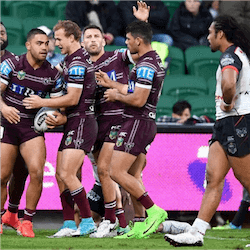 Having built a 16-0 lead going into the second quarter, the Warriors inexplicably took their foot off the gas and allowed the Sea Eagles to draw level just before the break. The second half got off to a slow start with Manly making more headway than the Warriors. This eventually resulted in a 10-point lead going into the fourth quarter. The Warriors did find a bit of hope when Charnze Nicoll-Klokstad’s scored his second try to close the gap to within striking distance. However, the Sea Eagles’ defence held out and the match ended with the Sea Eagles winning by 26 points to 22. Before the match, Warriors coach Stephen Kearney was speaking about how the Warriors needed to be more ruthless with their approach. After Saturday’s game, it was glaringly obvious that this was still a problem for his side. Speaking to the press, he admitted that the Warriors needed to be on their game for the full 80 minutes. He explained that there will be times when a team is not quite at their best, but during those periods, the team needs to do all they can to minimise the damage. This was not the case for the Warriors. After a brilliant opening period, the team slow down in the ruck and expose themselves on the edges, which was evident with Manly scoring three long range tires. It seemed the Warriors were powerless to stop the Sea Eagles attack. Speaking to the press, Warriors captain, Roger Tuivasa-Sheck said that they were aware that Manly were getting a roll-on. According to Tuivasa-Sheck, the team spoke about trying to tighten up and stop them getting through the middle. However, Manley worked around them with Dylan Walker and Cherry-Evans playing on the back of the momentum. The loss to the Sea Eagles means that their continue their winless run in Western Australia with 0 from 9 games. 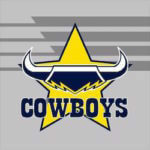 They are currently sitting in 10th spot on the NRL leader, four points adrift of the top 8. With just eight games left to play, the Warriors are looking to make their first finals appearance since 2011.